Church is not a building or an institution. Church is people. 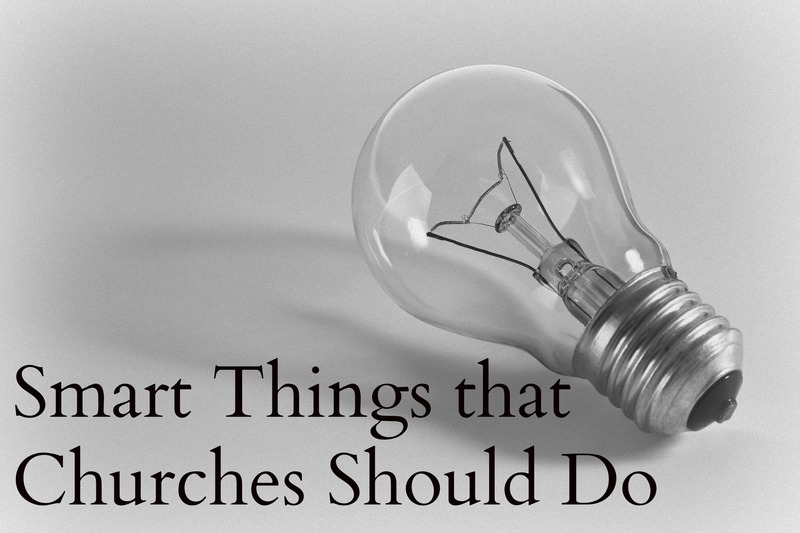 Because church is people, we have the choice to either do smart things or dumb things. If we do smart things, more people can be led to Christ. Leading people to Christ is a simple way of describing why the church exists. Youth are not the church of tomorrow; they are part of the church today. We must provide the resources necessary to reach them now. Quality leaders, authentic compassion and giving them a voice in the ministry process will result in young people who connect with the church. Smart churches know this; they don’t just talk about it, they do it. They invest in young people. But they also respect older people. Those who have paid the price to help get us where we are now need to know that they are treasured. Smart churches value people even if they appear to no longer be on the cutting edge. Smart churches value all generations. Doing something simply because that’s the ways it’s always been done is the fast track to extinction. Hold to traditions and creeds but do so with purpose. Smart churches change in the right way at the right time for the right reasons. We always have something to learn from others who are succeeding but trendiness and fads can spoil ministry. It appears that God blesses different methods at different times but He doesn’t run out of ideas. Imagination and creativity are spiritual gifts. Smart churches don’t spend a lot of time and energy trying to be another church. Be original, innovative, fresh. Speak the language of the people. Do everything with authenticity. Operate with impeccable integrity. Own up to mistakes. Repent often. Be transparent. Smart churches are not manipulative or condescending or disrespectful of people. Make room at the table for sinners. Don’t demand perfection. Practice forgiveness and model second chances. Smart churches know that the ground at the foot of the cross is level. It’s OK to have a “target market” based on demographics. But smart churches don’t eliminate people because they don’t fit the niche. Specialty churches eliminate people who are different. Jesus doesn’t eliminate these people – neither should we. Embrace other ministries. Do life in the neighborhood. Minister with a global mindset. Be sure to connect with people outside of your immediate circle. It’s a big world and God is doing amazing things. Smart churches don’t want to miss that! Don’t tolerate the mistreatment of the innocent. Stand up for victims. Speak out on behalf of the marginalized. Smart churches act as part of the solution to society’s ills. We should encourage people to practice their spiritual gifts. Empower people. Entrust people with responsibility. Smart churches understand that every person and gift is necessary for a fully functioning church. Smart churches know that they are not for everyone. Let people disagree and let some leave, if necessary. Pursue those God has called you to reach. What is the end goal of church? Jesus summarized our job description in Matthew 28 by telling us to make disciples; we help people by showing them how to be authentic followers of Jesus. That’s it. If we’re smart, we’ll focus all of our attention on that task. Smart churches do smart things and lots of people come to Christ. You and I are the church. Let’s do smart things.